ST. GEORGE — Two Illinois men were arrested last week when a Mesquite police officer found more than 110 pounds of marijuana and concentrated THC while searching their car during traffic stop on Interstate 15 in Nevada. The officer stopped the vehicle for a traffic violation on I-15 at 3 a.m. on Jan. 8 and became suspicious when he observed evidence of possible drug trafficking, Mesquite Police Sgt. Quinn Averett said in a statement that was released Wednesday. The officer discovered nearly 60 pounds of illegal marijuana buds and more than 50 pounds of concentrated THC, marijuana oils and edible candies, the statement says. 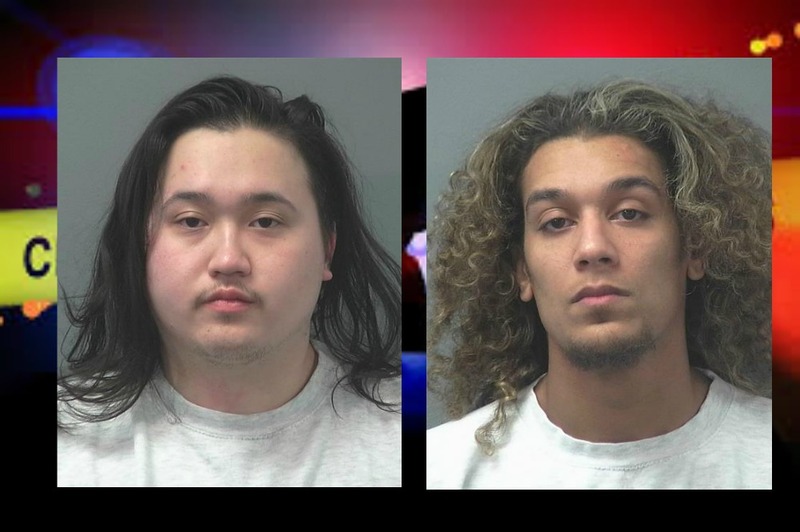 The two occupants, Anthony Huynh, 21, and Jordan Johnson, 24, both from Peoria, Illinois, were arrested and booked into the Clark County Detention Center in Las Vegas as is standard with any felony arrest. Hyunh and Johnson were each charged with two felonies due to the quantities seized, including one count of trafficking marijuana and one count for trafficking marijuana concentrate. While marijuana is legal in Nevada even for recreational use, it is illegal to transport any amount of the substance across state lines, even if it is being transported to another state where it is legal, such as from Nevada to California, for example, according to PotGuide.comNevada. How ridiculous. Go after real criminals, like the ones in office. If it was sold at the mesquite dispensary that’s like millions of dollars worth of product. Paid for with a stolen credit card no doubt, and a handy forgery device! That’s a heck of a credit line on that stolen credit card! Is this Cheech and Chong? Hey guys, the 1970’s called and they want their hairstyles back! The street level guys who look like drug dealers are the easy ones to catch. The ones we really need to watch out for are the clean cut executives in suits. The politicians, greedy developers and big pharma peddlers. Those are the crooks doing the most damage to our society!